With the NEXT update, is No Man’s Sky finally the game we were promised? 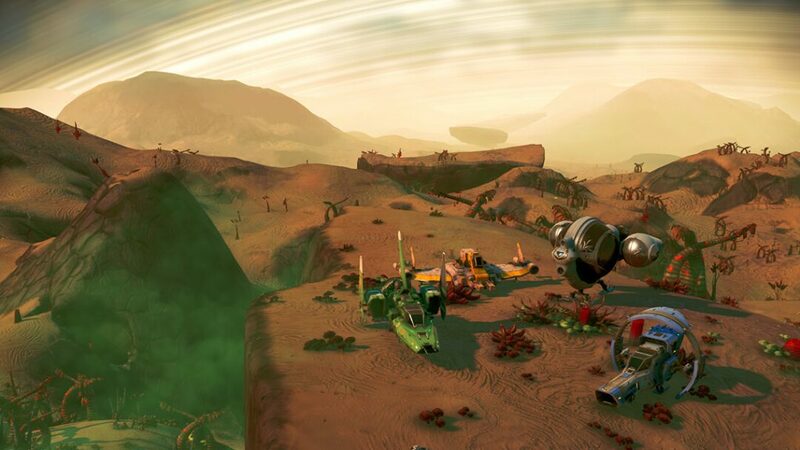 The 2016 launch of space exploration game No Man’s Sky is a perfect and often alarming case study in how runaway hype can poison even the most promising projects. Developed by the tiny six-man team at Hello Games in the quiet English town of Guildford, No Man’s Sky ballooned from offbeat indie game to potential blockbuster once word spread of its infinite procedurally generated universe. With a console audience rapidly losing interest in corridor shooters and sprawling blockbusters, the prospect of millions of star systems – each filled with unique planets populated by their own animals and plants, and subject to their own dynamic ecosystems – was incredibly enticing. True freedom, in a setting designed to surprise even its own creators. The clincher was the suggestion that we’d all be exploring this vast space together. 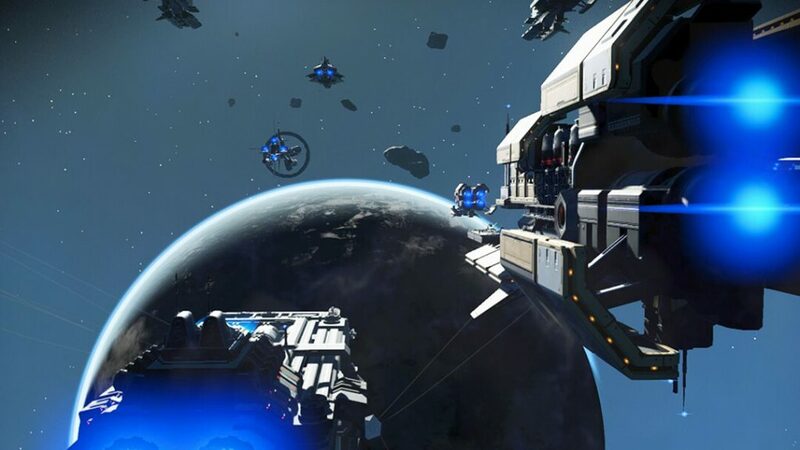 Looking back, it’s clear that Hello Games’ head Sean Murray was hedging his bets when it came to just what “multiplayer” might mean in the context of a game like No Man’s Sky. Numerous times he reiterated that players might never stumble across one another with so much space to explore, but he’d not reckoned on the determination of today’s gamers. When the game finally launched, it didn’t take long for enterprising players to coordinate enough to be on the same planet, in the same place, at the same time. And there was nobody else there. That was the headline scandal, but there were numerous other features and details seen in the game’s tantalizing trailers that didn’t manifest in the finished game. While each in-game species was technically distinct, certain types and body parts were clearly dominant regardless of where you went. The game’s space stations were lifeless, the non-player characters little more than fixed animatronics who dished out bonuses or posed simple puzzles and tests. The backlash against Hello Games was savage, with the team – Murray in particular thanks to his ownership of the Twitter handle @NoMansSky itself – besieged with abuse and even death threats. To their credit, the studio previously only known for the cute motorbike game Joe Danger didn’t buckle or quit. They doubled down on No Man’s Sky and began a two year process to improve, expand and upgrade the base game that had proven so controversial. With the much-heralded NEXT update which drops today, following three other sizable updates over the last two years, it seems that journey is complete. So how does No Man’s Sky measure up to its original promise in 2018? Pretty darn well, is the relieved answer. 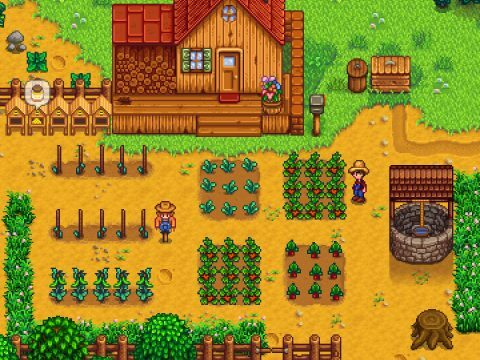 The NEXT update does a lot to pull the game together, but the seeds for many of its improvements were planted in previous patches. The earlier addition of missions finally makes sense, sending you from planet to planet undertaking research, hunting enemies and performing other tasks for cash rewards and rare items. The teleport technology that allows you to hop across space to old base camps ties the random galaxy together in a way that was absent at the game’s launch, where exploration was a constant ongoing affair with no reason to stop or return to previous locations. And the game’s interface and systems have also benefited from two years of tweaks and balances, meaning that inventory management is no longer such a chore, key functions are easily accessed using the D-pad without jumping in and out of menus, and the game’s loose-but-intriguing storyline is easier than ever to follow – or ignore, if that’s your preference. The big one, of course, is multiplayer. The last big update, Atlas Rises, offered a sort of phantom multiplayer, in which players could appear in each others’ games as floating orbs. This allowed for rudimentary communication, but was a long way from what players were expecting. In the NEXT update, you can now play online in a much more fully-featured way. Up to four players can occupy the same game, so don’t expect any MMO-sized crowds. You can drop in or out of this multiplayer state – or switch it off entirely – but there are no limiting lobbies or separate game modes to wall it off. It’s a truly shared space. 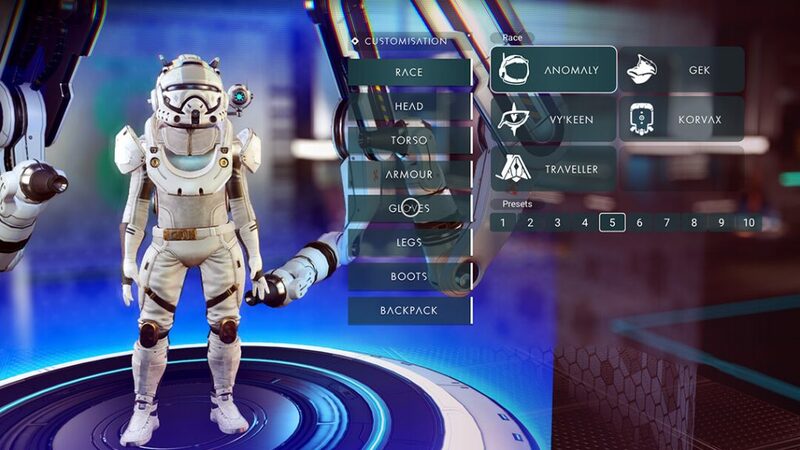 You can also customize your character, giving your cosmic explorer a sense of personality at long last, and also switch between first and third-person views as you roam the visually-upgraded planets. Working together with friends, you can build massive interconnected bases – the construction system having been loosened up to allow building anywhere, even underwater – and you can also drive around in vehicles together, or combine your freighters into a Galactica-style fleet. The weakness of so many games that add co-op this late in the day is that they end up feeling like several solo games smashed together. 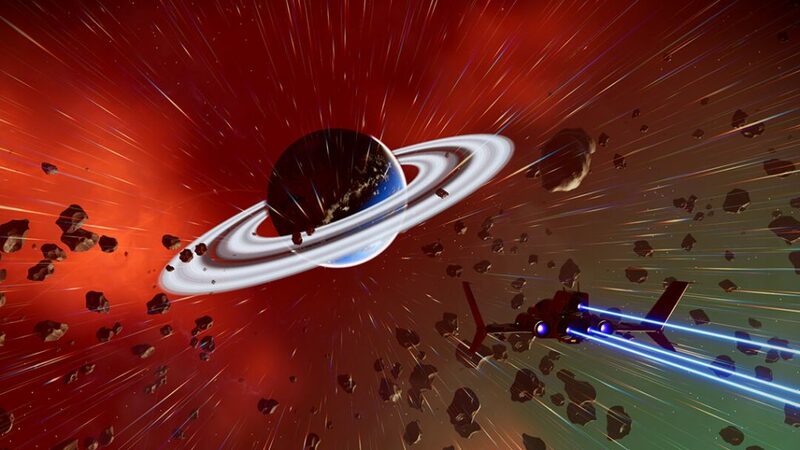 By opting for a looser definition, No Man’s Sky manages to have the best of both worlds. 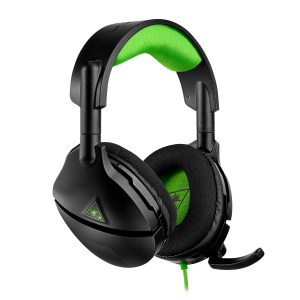 The Turtle Beach® Stealth 300 gaming headset is officially licensed for Xbox One and delivers powerful amplified Windows Sonic for Headphones surround sound to immerse you in your games, movies, and music. There will be some who still feel that this limited co-operative play falls short of the enormous populated universe they expected, but it feels like the ideal compromise to us. Those initial mentions of multiplayer suggested occasional fleeting glimpses of other players. Now we get to properly team up with friends or strangers for structured, definable reasons. That’s not just delivering on the original promise, it exceeds it. No Man’s Sky was always intended as a lonely and somewhat melancholy experience, and the sight of dozens of the players hopping around a quest giver would blow its appeal to pieces. So instead you get a social experience that is still respectfully intimate, against a backdrop that still makes you feel tiny. That sense of scale is vital, and having just you and three others pitted against the elements on a desolate world where the rain boils you alive, or dogfighting together to protect transports from pirates, hit just the right balance. Your adventure in No Man’s Sky still feels like your unique story, not one of thousands. That you get to do so with a little company is the finishing touch that justifies Hello Games’ persistence and resolve, and the patience of fans. And, of course, the journey is far from over. With NEXT now out in the wild, Hello Games is already promising smaller weekly updates and additions to keep the universe evolving and changing. Strap in!